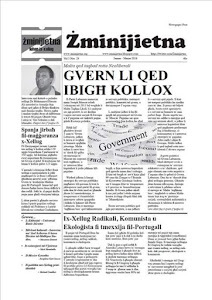 Żminijietna - Voice of the Left said that the State should retain control of production and distribution of energy produced by Enemalta. 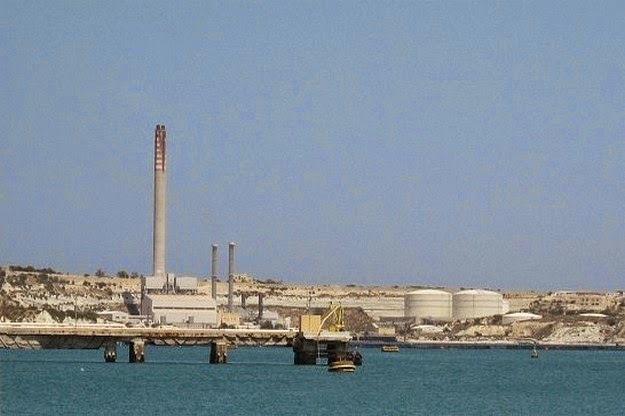 "We are concerned with the privatisation process of energy production, and insist that the Maltese state should have the ultimate say on strategic decisions to ensure universal public access to energy as well as energy sovereignty. We also appeal to the General Workers' Union and the Maltese Government to ensure that current workers' employment rights are not lost, and if anything, are improved". "The Maltese Government's partnership with the Chinese Government diversifies Malta's existing energy options. We welcome the strategic forward-looking initiative to become a Mediterranean gas hub in Europe. We also welcome the proposed production of renewable energy in Malta, and augur that this will lead to a drastic increase in usage of such energy in Malta, after years of neglect by previous Governments. Renewable energy is ultimately the most sustainable type of energy". The Enemalta Act 2014 which was approved by Parliament last week will transform the state’s energy corporation into a public limited company, transferring all the assets, rights, liabilities and obligations of the Corporation. 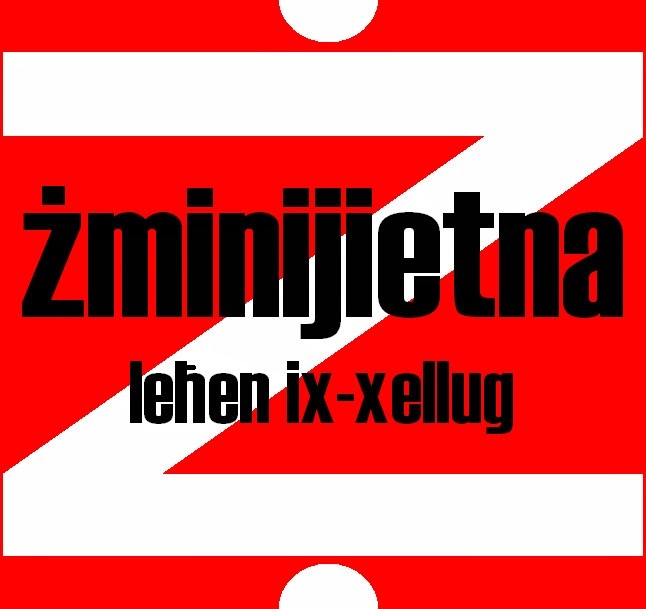 Żminijietna - Voice of the Left is against the proposed legalising of illegal lidos and other establishments around the Maltese coastline. "Public ownership, public access and facilitation of Government action to ensure social justice and environmental protection should not be hindered to satisfy owners of illegal development." "On another note, Żminijietna also appeals to the Government to ensure that proper impact studies are carried out before proceeding with land reclamation projects. Such impact studies should include social, environmental, economic and transport impact assessments and should be carried out in full consultation with civil society and local councils." 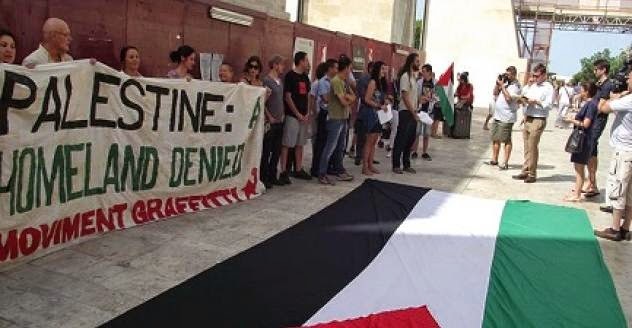 The Palestine Solidarity Network – Malta held a Walk for Gaza in Valletta to condemn the latest brutal Israeli aggression against the population of Gaza and call for a free Palestine. It is also reiterating its stand against any support the Maltese Government might give to Israel’s bid for a seat on the UN Security Council. During this aggression 200 people, including children and whole families have already been murdered, hundreds were injured and Gaza’s infrastructure is once again being demolished under Israeli bombardments. On the other hand, the few rockets thrown from Gaza into Israel as a reaction to the murder of 7 Palestinians living in a Gaza refugee camp by the Israel army have resulted in only one casualty on the Israeli side. Thus, contrary to many media portrayals, what is happening in Gaza is not a war but a vicious aggression by the Israeli state. The Gaza strip is a land the size of Malta and 1.8 million people live there, most of them Palestinian refugees who in 1948 fled Zionist militias that were ethnically cleansing Palestinian land from Palestinian people. This attack is therefore a continuation of decades of oppression, racial discrimination and ethnic cleansing of Palestinians by Israel. The population of Gaza has been living under constant Israeli siege for the past eight years and has already suffered two massacres, in 2009 and 2012, where more than 1,500 persons were killed. Thus, what is happening right now did not start a week ago, when Israel began its military operation against the population of Gaza. It is systematic violence by Israel against the Palestinians which has been going on for the past 66 years, with Palestinians having been disposed from most of their homes and lands in the process. For all these reasons, should the Maltese government support Israel’s bid for a seat in the UN Security Council, it would be committing a terrible mistake. Israel repeated disregard of UN resolutions and its continuous acts of terror towards the Palestinian population, make it completely unfit to have such a seat. Moreover, we call onto the Malta government to take a clear stand against Israeli aggression and not simply condemn ‘violence’ in the Middle East, since this is clearly a case of Israel being the oppressor and Palestinians those being oppressed. Social Europe: Front against TTIP (Malta) has been set up by Żminijietna - Voice of the Left; Anti-Poverty Alliance; Moviment Graffitti; Association of Federative Socialists; and GWU Youth. The Front will be inviting other NGOs, political parties and interested individuals to join the initiative. Social Europe: Front against TTIP (Malta) will be appealing to the Maltese Government and Members of the European Parliament to oppose the proposed Transatlantic Trade and Investment Partnership (TTIP) between the EU and the USA. “If approved, the TTIP will have an anti-social impact that paves the way for increased big business dominance and commercialisation in various sectors and in essential public services. This will threaten jobs and will lead to lower standards to the detriment of public health, public safety, workers’ and consumers’ rights and environmental protection. Areas affected include health care; education; culture; and various social services. Workers, consumers and small businesses will lose out in the process”. 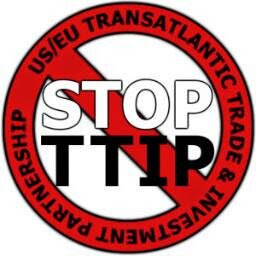 “Both the European Parliament and the European Council have both given their consent for a negotiating mandate for the TTIP process. The European Commission is negotiating on behalf of the EU and its Member States, and the European Parliament is entitled to be regularly informed on the process in question. However, in accordance with the EU Treaty on the Functioning of the European Union (Article 207(3) and Article 218 of the TFEU), the final TTIP agreement can only be concluded by the European Council and the Member States if the European Parliament gives its consent”. The Palestine Solidarity Network – Malta* is hereby condemning the latest brutal Israeli aggression against the population of Gaza. The network is also organising a Walk for Gaza on Thursday 17th July at 5:30pm, starting from City Gate, Valletta. During this aggression 120 people, including children and whole families have already been murdered, hundreds were injured and Gaza’s infrastructure is once again being demolished under Israeli bombardments. On the other hand, the few rockets thrown from Gaza into Israel as a reaction to the murder of 7 Palestinians living in a Gaza refugee camp by the Israel army haven’t resulted in any casualties on the Israeli side. Thus, contrary to many media portrayals, what is happening in Gaza is not a war but a vicious aggression by the Israeli state. The Gaza strip is a land the size of Malta and 1.5 million people live there, most of them Palestinian refugees who in 1948 fled Zionist militias that were ethnically cleansing Palestinian land from Palestinian people. This attack is therefore a continuation of decades of oppression, racial discrimination and ethnic cleansing of Palestinians by Israel. The population of Gaza has been living under constant Israeli siege for the past eight years and has already suffered two massacres, in 2009 and 2012, where more than 1,500 persons were killed. 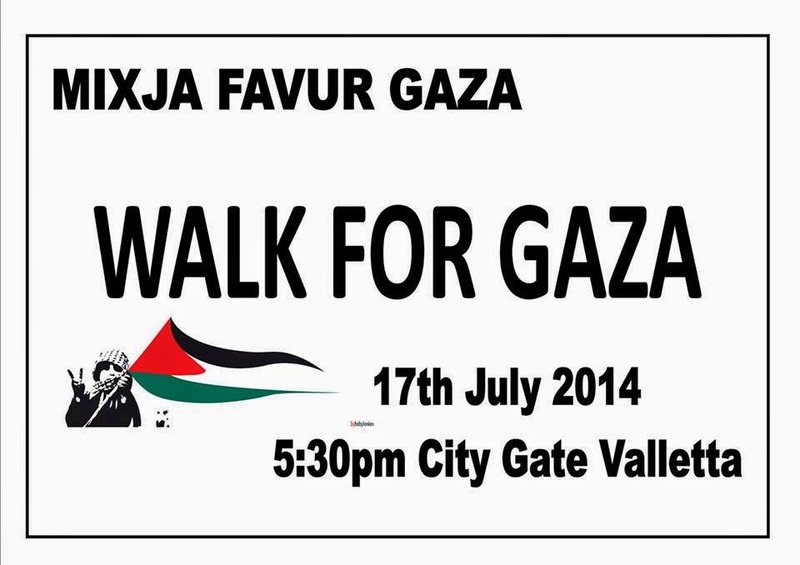 The network is organising a Walk for Gaza on Thursday 17th July, at 5:30pm, starting from City Gate Valletta. It urges the public to attend and show its condemnation of this aggression and express its support for a free Palestine. Żminijietna - Voice of the Left expressed its support to the pride march being organised on Friday by the Malta Gay Rights Movement. "In the past few months, history was written in Malta, when the Labour Government introduced civil unions with the same rights and obligations as marriage, including the possibility to adopt children. This was a historic moment with respect to social justice and equality". "Malta has gone a long way forward since the decriminalisation of homosexuality in the 1970s and the birth of MGRM at the turn of the century. The movement was determined and effective, and it was supported by leftist NGOs such as Moviment Graffitti and Żminijietna - Voice of the Left, by Alternattiva Demokratika The Green Party and eventually by a new wave of NGOs such as Drachma and Auditus as well as various opinionists and progressive journalists. The calls for equal rights were eventually endorsed by the Labour Party which introduced legislation which put Malta on the top of the world map of LGBTI rights." "Żminijietna augurs that such resolve for equality and social justice is also shown in other contemporary struggles, such as that against precarious employment." The Palestine Solidarity Network – Malta held a Press Conference in the light of recent local and international developments concerning Palestine. Currently the Palestinian population is being subjected to a brutal collective punishment at the hands of the Israeli state, following the death of three Israeli settlers in unclear circumstances. Meanwhile, it appears that the Maltese Government is ready to support Israel’s bid for a seat in the UN Security Council. In the past few days Palestinians in the West Bank and Gaza have seen one of the fiercest Israeli repressions in recent times. More than 600 Palestinians have been arrested and most of them are being detained without charges. 6 Palestinians have been killed by Israeli soldiers and one boy was abducted by illegal Israeli settlers, and burned. Moreover, dozens of Palestinian villages, refugee camps, schools and universities have come under attack from Israeli soldiers and illegal settlers. Gaza is once again experiencing a shower of Israeli bombs, with more than 100 airstrikes carried out in a few days. It is disturbing that while there has been an international outcry with regards to the death of the three Israeli settlers there is a very weak political reaction to the atrocities being perpetrated by the Israeli state. Suffice to say that from September 2000 up to April 2013 the Israeli occupation forces have killed 1,518 Palestinian children. That’s the equivalent of one Palestinian child killed by Israel every 3 days for almost 13 years. However, we heard very few political statements condemning such killings. 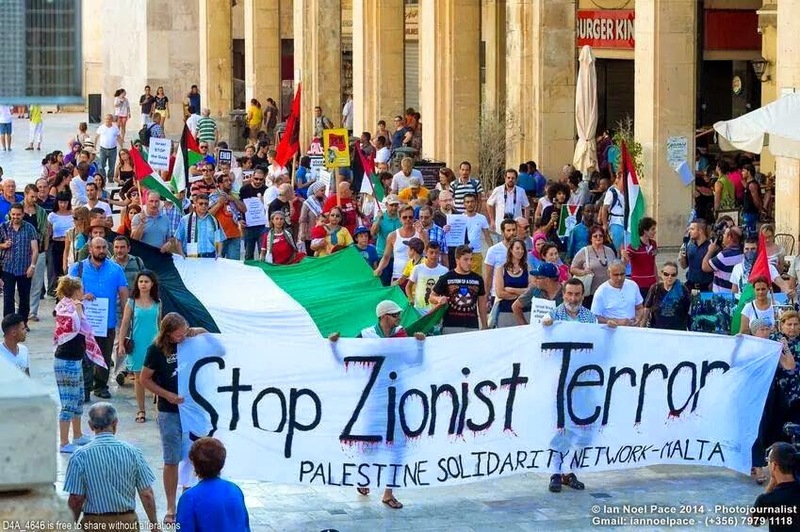 The Palestine Solidarity Network – Malta is also strongly denouncing the Maltese Government’s support of Israel’s bid for a seat in the UN Security Council. It’s alarming that Malta, a country which has historically shown clear support for the Palestinian cause, is shifting its stance to one of support for the Israeli state. Such decision will help legitimize the Israeli oppression of Palestinians and sends the wrong message to a state that has been repeatedly and shamelessly ignoring UN resolutions. • the right of Palestinian refugees to return to their homes and lands, as stipulated by the 194 UN resolution. The network raises awareness on issues related to Palestine and holds solidarity actions in Malta. It supports the global Boycott, Divestment and Sanctions campaign (www.bdsmovement.net) targeting entities and individuals participating in colonization, military occupation, racial discrimination and ethnic cleansing by the Israeli state. The organisations within the network include: Moviment Graffitti, Third World Group, Koperattiva Kummerc Gust, Integra Foundation, Zminijietna – Voice of the Left, Arab Maltese Community, Partit Komunista Malti, Arabic Culture and Information Society and Garden of Knowledge. Żminijietna – Voice of the Left is concerned with the figures and statistics published by Eurostat that show that poverty and social exclusion amongst children in Malta is higher than EU average. In fact in Malta the number of children that are at risk of poverty has reached 31%. “There are different factors contributing to this situation, but the most common are linked to the socio-economic situation of the parents, the employment they hold, health issues and the level of education”. Żminijietna insists that “the investment proposed by the European Commission to address the problem of disadvantage children lacks progressive vision. 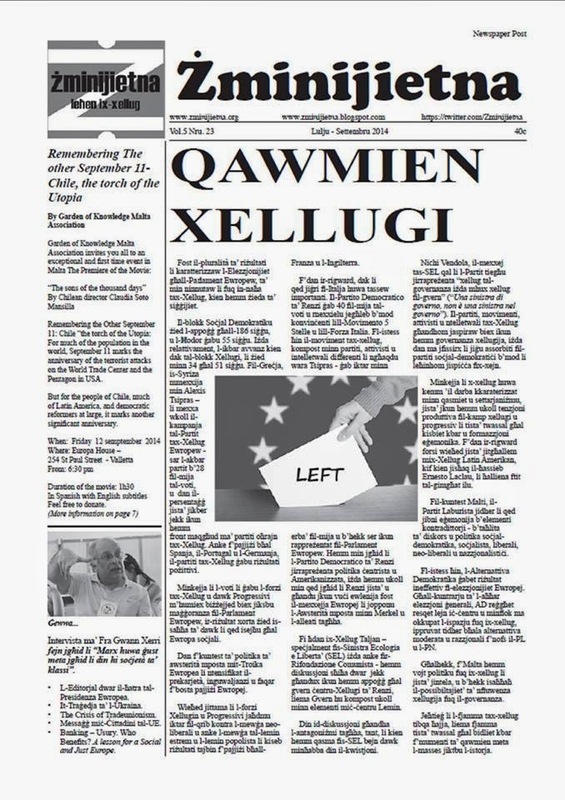 The packet lacks progressive reforms such as the raising of minimum wage, the abolition of temporary employment, which is the main contributor for precariousness and work poverty, reform of the post worker’s directive, which is leading to social dumping, support to the financial transaction tax to increase EU budget and the dismantling of EU Austerity policies as they are the main source for the spread of poverty in the European Union”. “On the other hand we support recommendations that include giving incentives to families at risk of poverty to enable them to participate in the labour market; to enable children to have a decent living; and the expansion of social services in the prevention sector”.